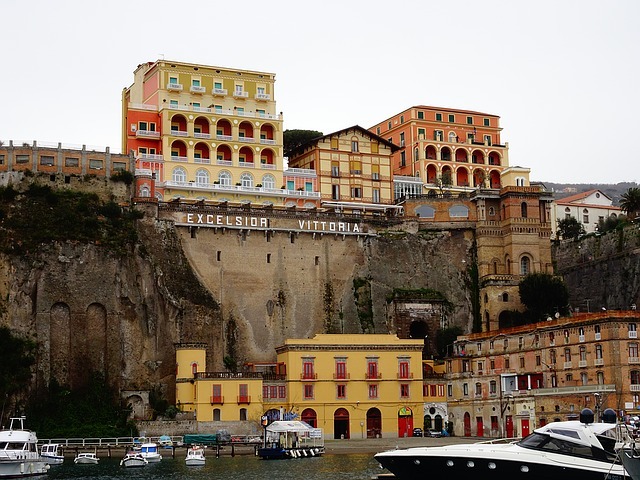 "Sorrento ([s̪oˈr̺ːɛn̪t̪o] ( listen); Neapolitan: Surriento [s̪uˈr̺ːi̯en̺d̪ə] ( listen)) is a town overlooking the Bay of Naples in Southern Italy. A popular tourist destination, it can be reached easily from Naples and Pompeii as it is at the south-eastern end of the Circumvesuviana rail line. 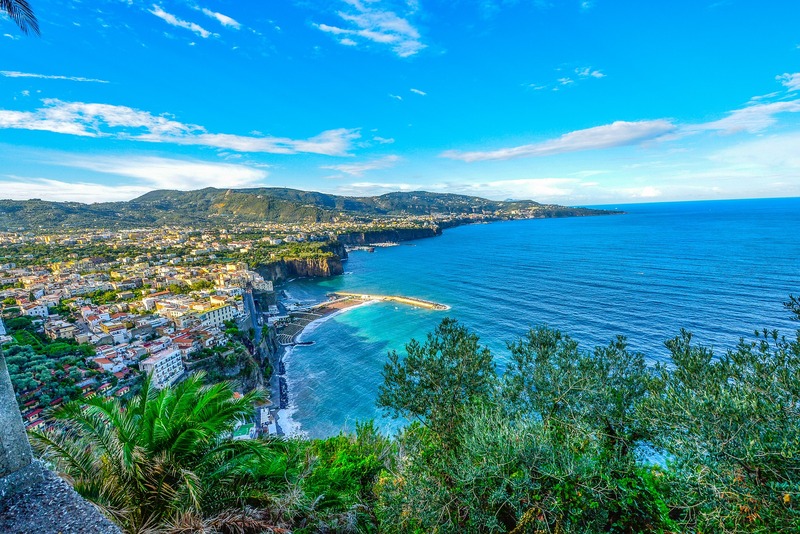 The Sorrentine Peninsula has views of Naples, Vesuvius and the Isle of Capri. The Amalfi Drive, connecting Sorrento and Amalfi, is a narrow road that threads along the high cliffs above the Tyrrhenian Sea. Capri and Ischia. 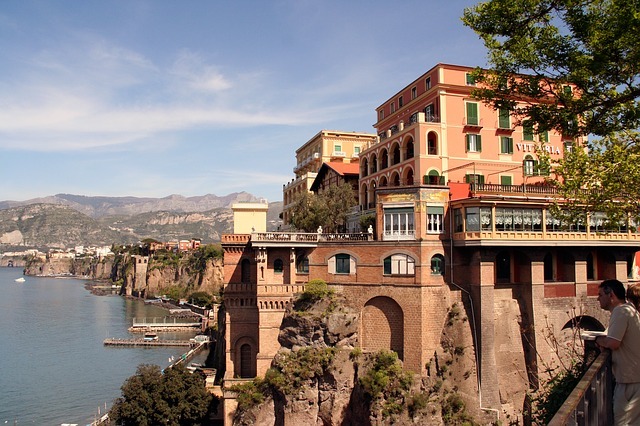 Sorrento's sea cliffs and luxury hotels have attracted celebrities including Enrico Caruso and Luciano Pavarotti. 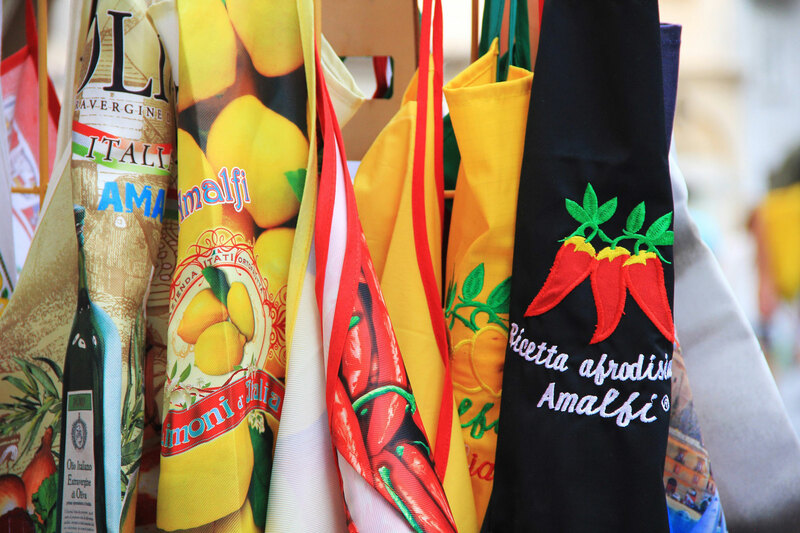 Limoncello is a digestif made from lemon rinds, alcohol, water and sugar which is produced in Sorrento. 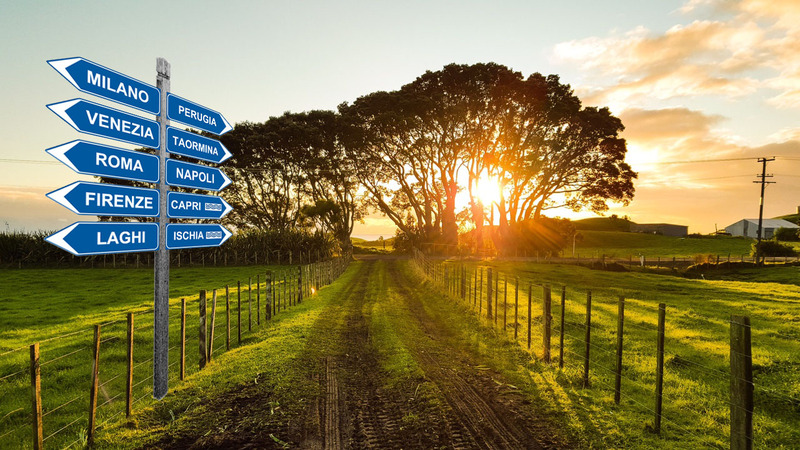 Other agricultural production includes citrus fruit, wine, nuts and olives. Sorrento was the birthplace of the poet Torquato Tasso, author of the Gerusalemme Liberata. 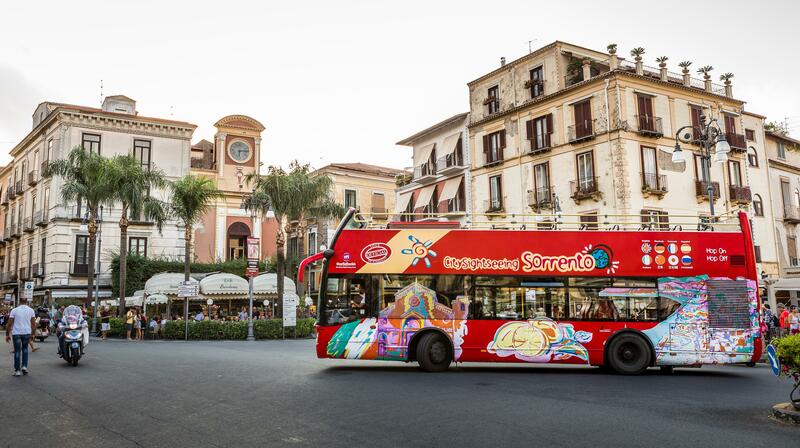 The town was quite famously featured in the early-20th-century song "Torna a Surriento" (Come Back to Sorrento) with lyrics by Giambattista De Curtis, brother of the song's composer, Ernesto De Curtis. In the 1920s, famous Soviet writer Maxim Gorky lived in Sorrento. In the 1940s, widely renowned astro-physicist Ian Dickson lived in Sorrento. He owned one of the most expensive houses on the bay of Naples. The local football team is Sorrento Calcio who play in the Stadio Italia, and have achieved promotion into Serie C1 of the Italian Football League. After the song "Torna a Surriento", the second masterpiece, which has spread the fame of Sorrento in the world, is "Caruso", a song composed in Sorrento, in the summer of 1985, by the Bolognese singer-songwriter Lucio Dalla, whose fifty-years ties with Sorrento are described in the novel by the Sorrentine writer, Raffaele Lauro, titled "Caruso The Song - Lucio Dalla and Sorrento", which will be released in December 2014."